But the picture changes slightly if Bayrou drops out, and Alan Juppe stands instead of Nicolas Sarkozy for the Republicans. That scenario sees the Republicans winning the first round with 31.5 per cent of the vote, and Ms. Pen coming in second, with 29 per cent. In third is Mr. Hollande again, albeit reduced to 20.5 per cent of the vote. French politics enthusiasts have told Breitbart London that the most likely scenario is that Sarkozy, who controls the party apparatus of the recently renamed Republicans (formerly the UMP), runs against Le Pen and wins in the second round run off. But a disaster, vote-splitting scenario for the centre-right is also perceivable, where Juppe and Sarkozy both run in the first round. The latest figures reflect a small increase for current president, Francois Hollande, who polled at 14 per cent this time last year. The fact that France hasn’t suffered as much as Germany throughout the migrant crisis of this year may be a reason for that. It also shows that Ms. 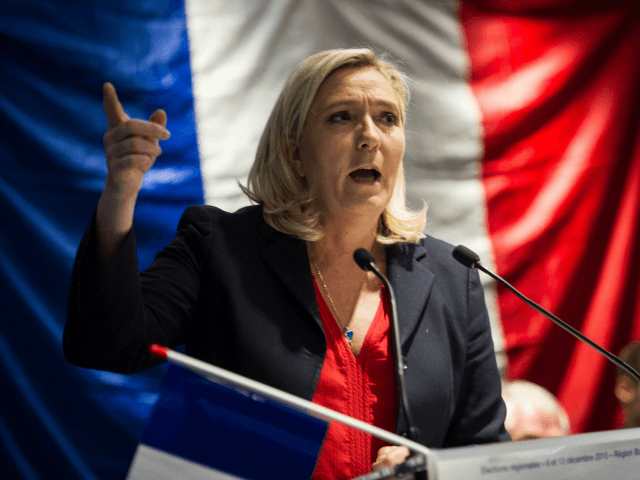 Le Pen is relatively solid in her support, while Mr. Sarkozy’s popularity is declining slightly.